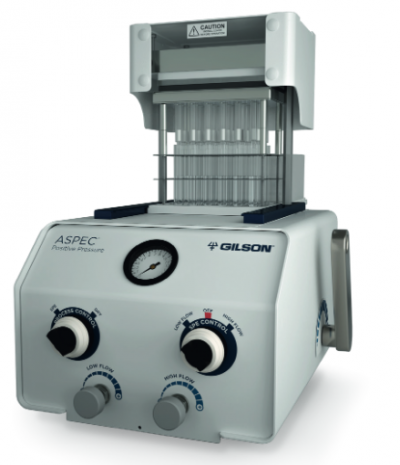 Maximize efficiency and throughput with the unattended, parallel solid phase extraction processing of samples via Gilson’s GX-274 ASPEC™. 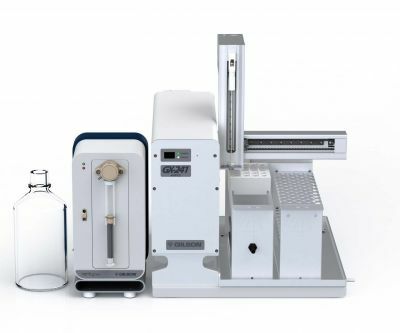 It’s as easy as placing your samples on the instrument, inserting SPE cartridges in the mobile racks, and filling solvent reservoirs. 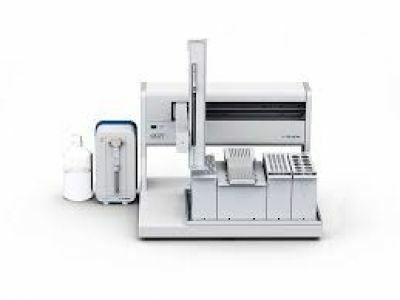 Then, create your sample list with the powerful TRILUTION® LH software and press start...it’s that easy. 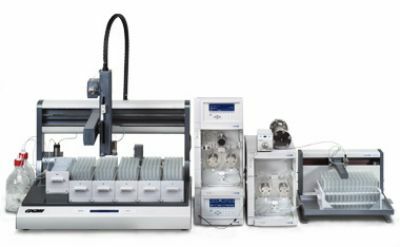 The GX-274 ASPEC is a higher throughput four-probe instrument capable of processing up to 4 samples in parallel to increase both throughput and the efficiency of your cartridge-based applications. 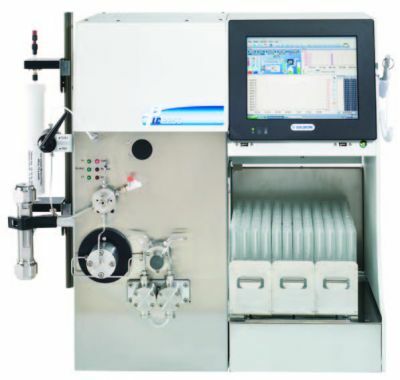 Based on positive pressure elution, this instrument processes up to four samples in a single step with an innovative and proven sealing cap technology, where each cartridge is sealed, run, and monitored individually. 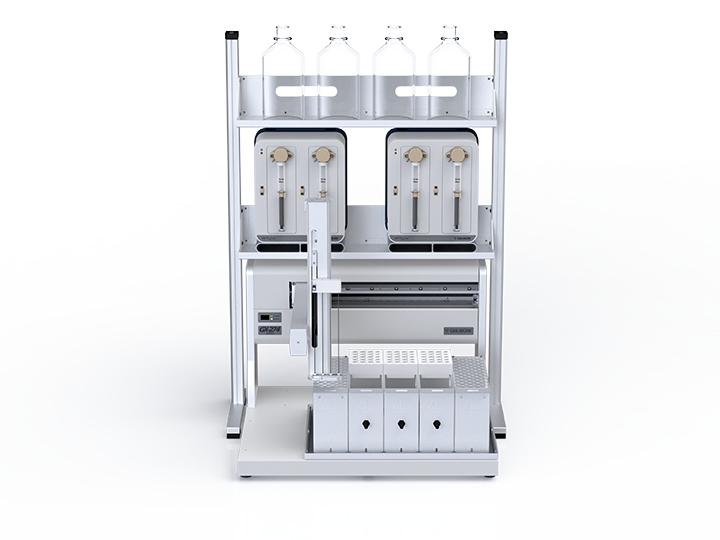 The two VERITY® 4260 Dual Syringe Pumps allow the user to transfer liquids, process up to four samples in parallel, and to monitor pressure on each fluid path individually. Four probe Z-arm increases throughput and efficiency. 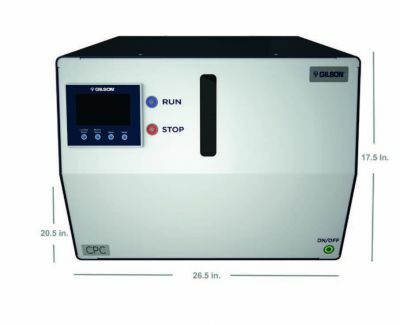 Positive pressure elution ensures better reproducibility and higher precision. The VERITY® 4260 Dual Syringe Pumps are equipped with independent pressure sensing modules that monitor pressure on each of the four fluid paths and can be used to handle error conditions such as high cartridge pressure or clogged liquid lines. 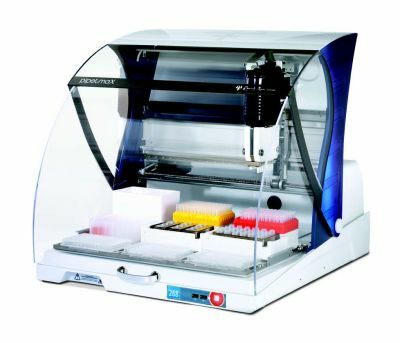 On-bed reservoirs allow access up to four solvents without taking up a position on the tray. Transfer ports allow access to 2 additional off-bed, large volume solvent reservoirs without taking up any on bed rack positions. Extend this capability through the use of a VALVEMATE® II. Modular design allows the use of Code 200, Code 34x, or Code 37x series racks. 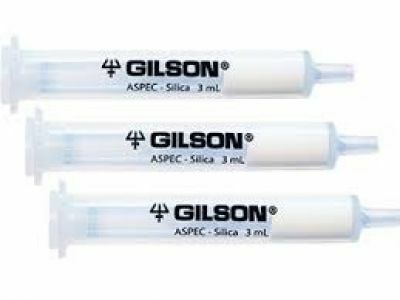 Positive pressure elution achieved via Gilson’s sealing cap technology. Eluted product can be fractionated by moving to different collection tubes. SPE process can be performed in either batch or sequential mode to optimize throughput and efficiency.